Every July, anglers in Western North Carolina bemoan the conditions. Heat makes the trout lay low and expend very little energy. 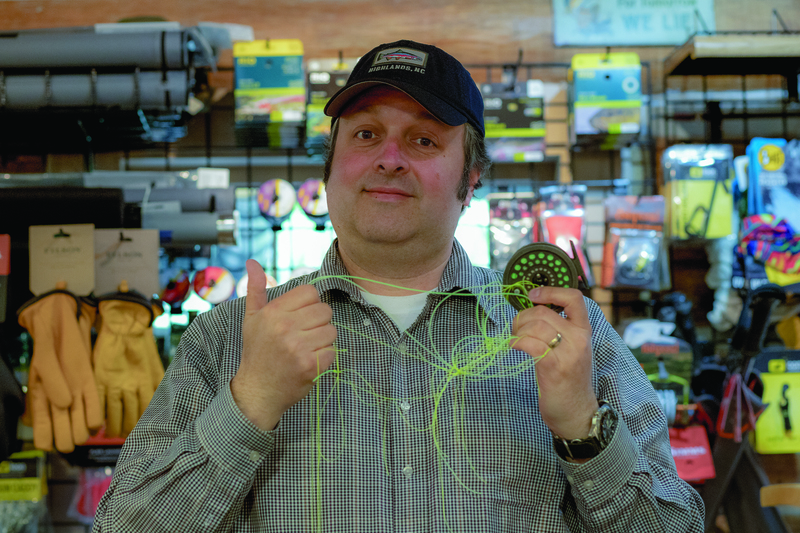 Most will hang up the fly gear for the core summer months. If you’re fishing for trout, your days are more challenging to be sure, but anglers can easily switch to bass during this time and have a blast doing it. Unlike trout, bass move and feed in warmer water. Also unlike trout, bass ambush, or chase their food down, instead of letting the river bring them sustenance all day long. This makes bass fishing in summer a great alternative to trout fishing. One switch you will have to make is stepping up to a heavier rod than you usually use for trout fishing. If you’re fishing in a smaller pond your 5-weight should work fine, but in larger lakes 8-weight rods are much more effective for casting larger bass flies and streamers. A lot of folks think that fishing for bass on the fly will be all about top water, however just as in spin fishing, you can fish mid depths and bottom depths as well. You will typically be looking for structures like logs, docks, and stumps, which make great holding places for bass.